Infosys, India’s second largest software exporter this year, has set a bet for graduates who are given campus offers. A graduate is asked to pick a paid course on front-end development (of website or an app) on Udacity, the online technology education provider. The person must get a nano degree or pass the course before being put on training at its Mysuru campus. Once he or she gets placed after training, Infosys pays back the student the course fee on Udacity. With this, Infosys is ensuring that it gets trained engineers in thousands who are ready to be put on digital projects — a segment that is disrupting the company and the Indian IT services industry. 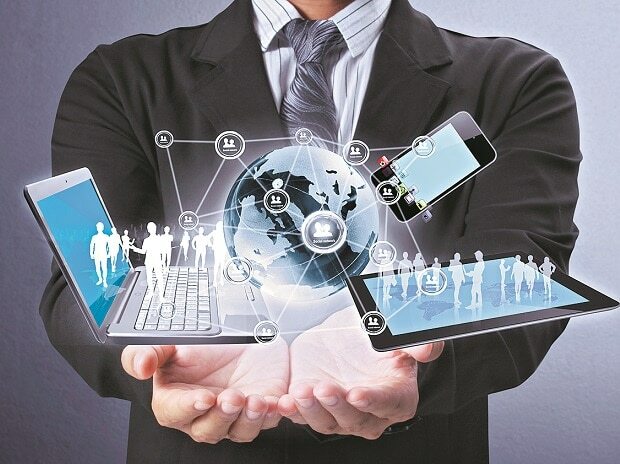 For a perspective, business from newer digital technologies is growing at 25 per cent, while legacy business is shrinking at 2.5 per cent, according to Everest Group, a global technology consultancy. Traditionally, Infosys and its peers such as Tata Consultancy Services, Wipro and HCL Technologies have built applications for its customers that can be accessed on a personal computer. This business is slowing and the clients now want these applications to be accessed on smartphones with a smooth customer experiece that comes while accessing Facebook app. Such expectations, bring in new challenges such as smaller form factor, better design and applications hosted on the cloud for IT firms. This also calls for addressing patchy internet access and ensuring that the network is secure. Indian firms have mastered expertise in developing and maintaining back-end applications. A majority of work that can be repeatable is being automated. However, building the front-end and stitching it with the back-end is a task Indian IT companies are learning. Putting in hundreds of fresh minds with the new skills is a good move. India’s top five technology firms have over the past two years undertaken a massive exercise of reskilling over half a million engineers in newer technologies. “The need to retrain the workforce is further amplified with the automation of the old work procesess. Hence, companies need new skills. In addition to different technical skills digital also requires employees to acquire new soft skills. All this is being addressed by investing in training in design thinking and agile development methodologies,” says Peter Bendor-Samuel, founder and chief executive officer of Everest Group, a global outsourcing advisory. This is validated by the data on the number of people who have sought online certification. Over half a million people paid for online courses to reskill in technology and certified in 2016, spending around $ 93 million in 2016, according to study by KPMG and Google released in May. This spending is expected to grow to $463 million by 2021 as the industry increasingly focuses on digital technologies. As organisations increase reliance on certification — which validates a person’s ability to learn and implement a new technology skills — in future they would look at getting people to work based on their skills instead of investing in retraining. “If you are not skilling yourself, you are obsolete. You are running a race that is not there,” says Y Shekar, co-promoter, Skillablers Technologies Private Limited, a firm that uses technology to bridge skill gaps among workers. Besides reskilling employees, Indian firms are investing in artificial intelligence tools — Infosys with its Mia platform, Wipro with Holmes, Ignio of Tata Consultancy Services and Tech Mahindra has TACTiX. Each of them is offering to help clients automate projects to improve efficiency and pushing professionals to work on more complex projects. This also means that the companies would focus on reducing the mass hiring that they have been following so far. Clearly, the focus is on hiring skilled professionals. “Amplifying of our abilities is the answer to the skills question. Automation is going to make us more innovative. If problem solving is done by machines, problem finding will be the human frontier,” Infosys chief executive officer Vishal Sikka said at Infosys confluence in May.